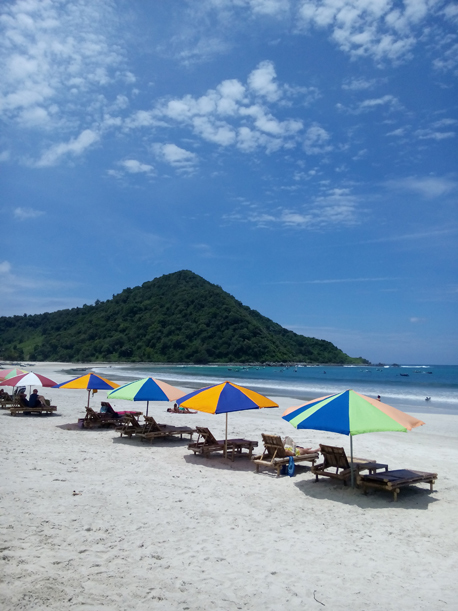 The best-known place on the south coast is Lombok's Kuta Beach (Sometime spelt Kute Beach) a magnificent stretch of white sand and blue sea with rugged hills rising around it, famous for its surfing spots. 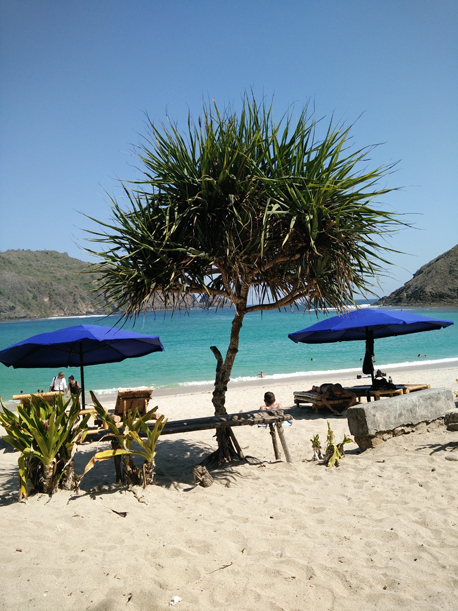 Kuta Beach LombokKuta Beach Lombok is the main town and tourism center on the south coast of Lombok which has been attracting visitors for its beautiful virgin beaches and surfing spots. Surfers from all over the world find Kuta Lombok as a surfer paradise. Kuta Lombok and surrounding beaches have gained an international reputation for some of the best surfing destination in Southeast Asia. It is here that the gentle waters surrounding Lombok meet the currents of the Indian Ocean, forming great swells and surf breaks. Many visitors come back year after year to surf the famous Kuta waves for the great surf location at Gerupuk, Tanjung A'an and nearby beaches. Whether you are an experienced surfer or a beginner you will find the surf spot for you. Surf boards & boogie boards are available to rent or bring your own. 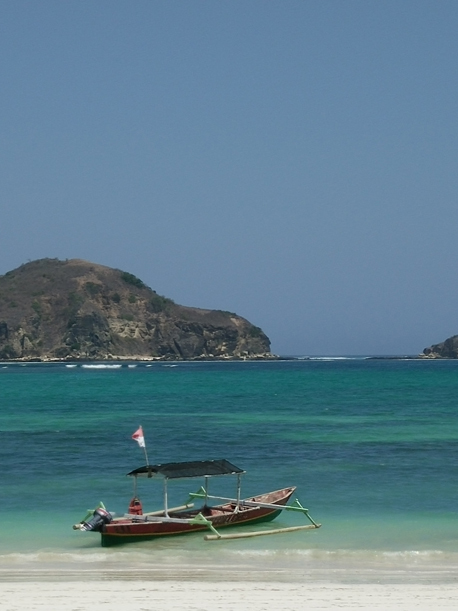 The drive to Kuta Lombok is an interesting rural tour of small villages and farming communities. Field of tobacco, corn and peanut line the roadsides and farmers till the fields using antiquated ploughs pulled by large water buffalo. 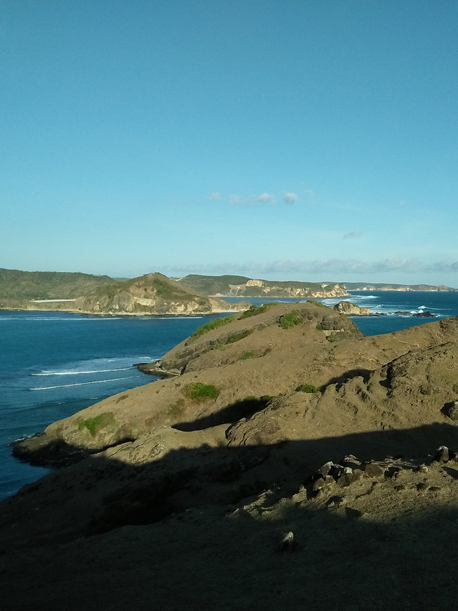 Just before arriving in Kuta Beach Lombok, the road passes two traditional Sasak Villages - Sade and Rambitan. On the east side of the road is Rambitan, a village that caters to tourists and has authentic clusters of thatched Lumbung (rice barns) and traditional homes made of thatch and bamboo with hardened cow and buffalo dung. There are accommodation available at Kuta Beach, from backpacker home stay range to luxury hotel such as Novotel Hotel and Bumbangku Bungalow further south from Kuta beach. Backpackers hotel at Kuta Beach Lombok includes Surfer Inn, Puri Rinjani, Tastura Boutique Resort, Segara Anak Home stay, Kuta Indah. 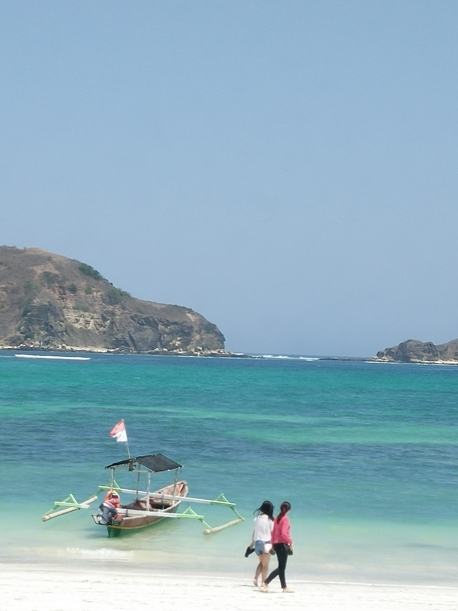 The paradise of Kuta Lombok includes Tanjung A'an, Mawun, Selong Belanak, Mawi, Gerupuk and Bumbang. 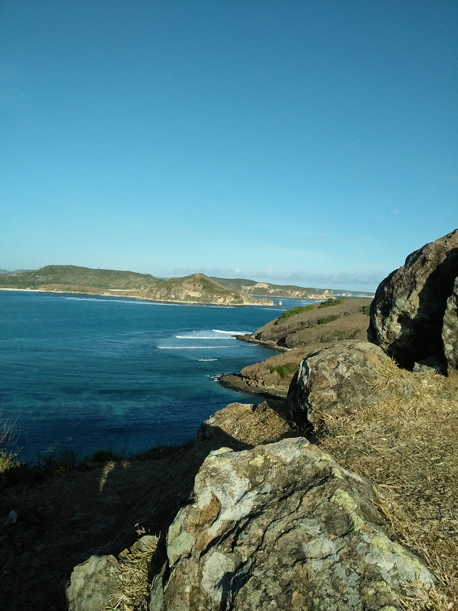 Tanjung Aan is located 4 KM from main beach of Kuta Lombok, it has perfect white sand beaches and clear water good for snorkeling and swimming. 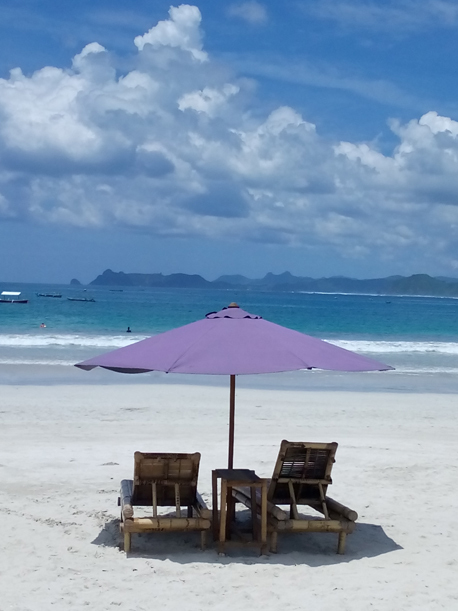 Gerupuk beach is 2 KM further to the east from Tanjung Aan Beach, well known as the top surf location and situated on a peninsula of land that just out into the ocean with stunning views of the sea. There is a good surf school here and no fewer than five surf breaks. 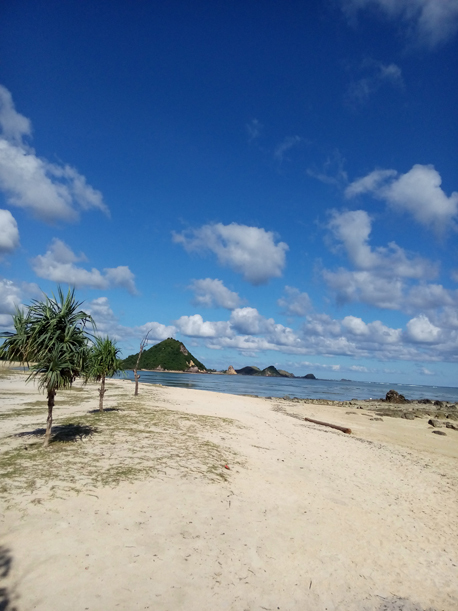 Bumbang beach is further to the east from Gerupuk beach, there is simple cottages and a charming restaurant sit right on the sand of Bumbang beach for those who wishing to stay a few days, surfing and exploring the eastern beaches. 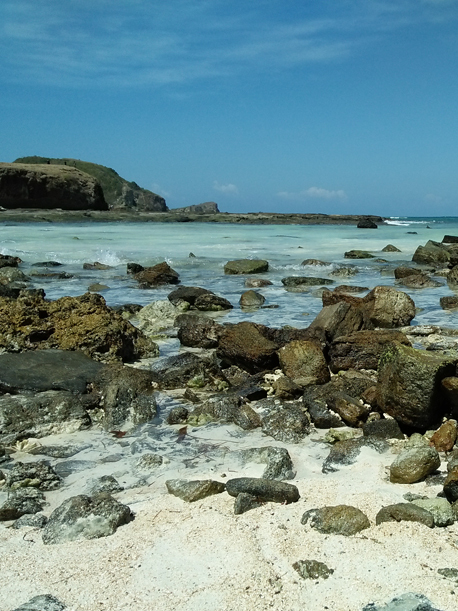 Mawun beach is located on the west of Kuta beach, its about 30 minutes drive through the hill with fantastic view. 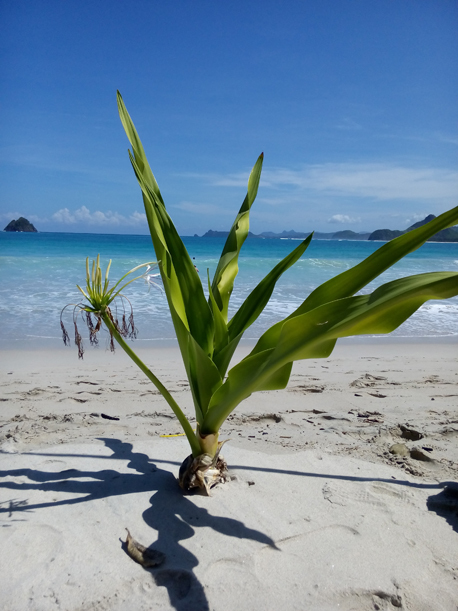 Its a spectacular beach with calm blue water, good for swimming and a day lazing on the white sand. Mawi beach is another 7 Km from Mawun beach, has good right barrels for surfing when the swell is large enough. At other times, it is a lovely beach with impressive views of Gili Lawang just offshore with three pinnacles of rock jutting out of the ocean. Selong Belanak is further to the west, the road quite bumpy to reach this place. Make sure to go with experience local guide and good vehicle. Once there you can enjoy very spectacular beach views. This could be one of the best option if you wish to enjoy your holiday without hassle and bustle. 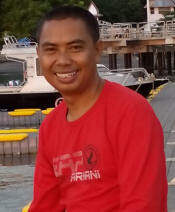 You can pre-book a private transfer service to reputable local tour operator or for an assistances. Traveling in the group and share the fares will make it even much cheaper. To eliminate hassle and bustle, shuttle bus could be one of a good option, even though travel time can be long because the bus will have many stop over dropping and picking up other passengers from their hub/offices in main tourist attraction like Senggigi or Bangsal Harbour.